On May 1, 1960, an American U-2 spy plane was shot down over the Soviet Union and its pilot, Francis Gary Powers, was captured. The Eisenhower administration initially attempted to cover up the incident but was soon forced to admit that the U.S. had been conducting reconnaissance flights over the Soviet Union for several years. The ensuing diplomatic crisis ended a period of warmer relations between the two superpowers and heightened Cold War tensions. During the course of his captivity, Powers was interrogated at length and found guilty of espionage after a show trial. On February 10, 1962, Powers was exchanged in a well-publicized spy swap in Berlin for Soviet KGB Colonel Vilyam Fisher (aka Rudolf Abel), who had been arrested in Brooklyn by the FBI in 1957, as depicted in the 2015 Steven Spielberg movie Bridge of Spies. At right, an AP photo showing Powers during the trial. Powers received a cold reception on his return home. Initially, he was criticized for having failed to activate his aircraft’s self-destruct charge to destroy classified parts of his aircraft before his capture. He was also criticized for not using an optional CIA-issued “suicide pill” to kill himself. Powers appeared before a Senate Armed Services Select Committee hearing, where it was determined that Powers had followed orders, had not divulged any critical information to the Soviets, and had conducted himself “as a fine young man under dangerous circumstances.” Lee Majors (the “Six Million Dollar Man”) played the role of Powers in the 1976 movie based on his life. Powers died in a helicopter crash while covering brush fires for a TV station in Los Angeles in 1977. In 2010, CIA documents were released indicating that “top U.S. officials never believed Powers’ account of his fateful flight because it appeared to be directly contradicted by a report from the National Security Agency. He was posthumously awarded medals for fidelity and courage in the line of duty, including the Silver Star. Vladimir I. Toumanoff was serving as a political counselor in Moscow at the time. He was interviewed by William D. Morgan in 1999. The following are his firsthand accounts of the U-2 affair and Powers’ show trial. You can also read about the CIA’s efforts to convince Pakistan to allow the U-2 program on its territory (without completely revealing just what it was.) Go here to listen to the podcast with Toumanoff’s account. Read other Moments on the Cold War. TOUMANOFF: The first we came to know of the U-2 was that the Ambassador was invited to attend a session of the Supreme Soviet at which Khrushchev, of course, was going to give a speech and, for whatever reason, Llewellyn Thompson took me along with him, the first and only time I’ve ever been to a Supreme Soviet session, because they’re not open to American diplomats. They certainly were not in those days…. Once a year, as I recall, at which the Supreme Soviet enthusiastically rubber-stamped whatever the Party presented. It was held in the Kremlin, the Great Hall, and Thompson and I were seated prominently in a balcony. It was a gloomy, cloudy, drizzly day, and the Hall had a large skylight. Well, Khrushchev made a long report and toward the end, looking directly at Thompson, he revealed the fact that an American spy plane had been shot down. This was the first announcement. It was a very long speech by Khrushchev, a kind of state-of-the-nation report, which was of course in wonderful condition and even better than it was the last wonderful time. There were the usual interruptions by applause and exclamations of approval and praise. It went on and on and carried nothing of particular interest for the Ambassador, and I began to wonder why he had been invited. We could have heard it on the radio, or waited to read it the next day when the full text would be in the newspapers, and then report with commentary to the Department. Toward the end of this speech, Khrushchev paused. He stood on stage at an elevated podium in a theatrical position, with all the audience of the Supreme Soviet below him, and Politburo, high Party and government officials behind. He looked up at Thompson, and announced the shoot-down. At that moment the sun broke through the clouds and a bright ray of sunlight beamed down upon him through the skylight. It was very dramatic, and after a pause the audience went wild in applause and shouts of acclamation. Khrushchev was in his element and launched into his denunciation of America’s perfidy. As he went on and on piling accusation upon accusation it seemed clear that the Spirit of Camp David, and the era of Peace and Friendship were over. Meanwhile, the cameras had swiveled and, following Khrushchev’s gaze, every eye was on Llewellyn Thompson, the American Ambassador. Q: Where at the point of the speech did this come? TOUMANOFF: Oh, at the end, Khrushchev had saved it for the climax. As he went on and on about how appallingly nefarious and dangerous was this action by the United States, he did not accuse the President of ordering or perhaps even of knowing about the flight but pointed out that, if not, any American general could start World War III. He also said nothing about the pilot. The rhetoric and theatrics were full scale, and the audience applauded often and mightily. It was a trying, not to say traumatic, time for Thompson, but he showed no sign of any kind. He was, by the way, a masterful poker player. When it was all over, we left quietly and back at the embassy he immediately prepared a telegram to the Department in which, my recollection is, he pointed out Khrushchev’s silence on the fate of the pilot, which suggested that he may have survived and be in Soviet hands. If so, we should assume the pilot might be forced to tell the Soviets everything he knew…. Later, they invited the Ambassador to attend the trial of Francis Gary Powers, the U-2 pilot. Obviously, he did not go, but he sent two of his junior officers, Vice Consul Lewis Bowden, and myself…. 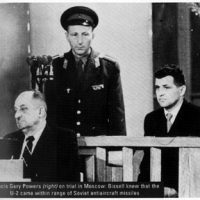 That trial has been written up at vast length, but there’s one part of it which I have never seen in print, and that was about a part of Francis Gary Powers’ behavior in the course of that trial. There he was, on trial for his life so far as he could tell. He had been held for something like three months with no access to anyone except Soviet authorities, interrogators, and a “planted” cellmate. No Americans nor any foreigners. He’d been held completely isolated from information except what the Soviet authorities provided, and that seems to have been exaggerated accounts of the staggering consequences of his “crime,” more than enough to warrant execution….He was being interrogated for intelligence and being prepared to be put on show at the trial…. They wanted to have total control of what he knew, no surprises or conflicting information at the trial. It was to be as nearly totally scripted as they could manage. He was isolated from the world except as they wished him to think it. Outside, the Soviet propaganda machine was, of course, grinding full speed and at very high volume. Besides, Powers knew no Russian. So there was Powers, on stage, for a Moscow theatrical, called a trial; the full panoply of press from all the world in the balconies, provided with every technical facility; and a packed and picked Soviet audience below, largely KGB and military, plus some carefully selected foreigners, Lew Bowden and myself. The Powers family was there, with their lawyers. I don’t know about others except for the press corps, which was international and included a large American contingent. The more press, the more cameras, the more microphones, the better. Anybody that would serve their propaganda purposes…. Remember, this trial was staged for world-wide propaganda. Otherwise they could easily have tried Power in a closed, secret court, as they did with many dissidents. I believe what follows has never been published. After introductory remarks by the Judge/Prosecutor the trial moved to presentation of evidence, and that is my topic. 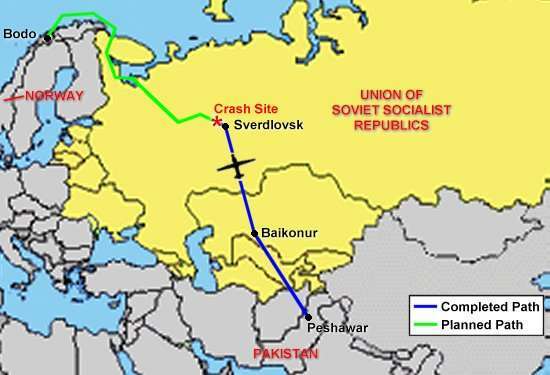 One bit of evidence presented was Powers’ flight map, with commentary stressing that the routing over Soviet cities was for bombing run practice to wreak future havoc and slaughter. At the end of the official presentation the judge asked Powers if he had anything to say. To his surprise Powers rose and asked to see the map. It was the size of a newspaper page. Holding it up with his left hand, he examined it carefully, tracing his flight path with the index finger of his right. The map never shook. It was absolutely still and steady. Satisfied, he confirmed that it was his flight map, and handed it back. Two things struck me: on trial for his life he was suggesting by his request and action that he, at least, thought this court capable of presenting false or tampered evidence; and that he must have nerves of steel not to show the slightest tremor while doing so. The Court then called a series of learned, scientific commissions, each of which had been tasked to examine other pieces of evidence. Each Commission, in turn, was introduced with elaborate recitations of the members’ impressive credentials. Most were members of the Soviet National Academy of Sciences. To support the weight of their testimony and findings. The first commission had been asked to examine his pistol, and they concluded that Powers had been given the pistol to murder innocent Soviet citizens. The judge, having set the precedent, again turned to Powers and asked “Is that your pistol?” The pistol was brought to him, Powers rose, looked at it and replied “Yes, that’s my 22-calibre pistol.” He then went on to explain that it was part of his survival gear, if down in the some wilderness, to be able to shoot small game such as birds, rabbits or squirrels, for food. The 22-caliber was well known in the Soviet Union. Common in most of the world, it is a plinking gun. One that’s not much good for anything larger than a woodchuck, or porcupine, if that…. If your purpose were really to go murder people, which includes innocent Soviet citizens, you wouldn’t take a .22 — in the 1950s, more like a standard army Colt .45, as the Moros taught us in the Philippine War. So here’s Powers, on trial for his life, discrediting the learned commission and its testimony, and undermining the validity of the court….But risking his life by undermining the credibility of the Court. The next learned commission dealt with the poison pin. And they, too, concluded and testified that it was given to Powers for him to murder innocent Soviet citizens, this time in a surreptitious fashion, so they might not even know that they had been poisoned with a deadly poison. Having set the pattern, the Judge felt obliged to turn again to Powers. He explained that this, too, was part of his accident gear. In case he was very badly injured, helpless, in agony, or attacked by wild beasts, with no prospect of survival, the pin would end his life quickly and painlessly. Q: Or to silence himself under duress which, of course, was the big story. I’m not quoting exactly, but the general tenor was that this was to destroy the fabric of the society by flames. Again the Judge turns to Francis Gary Powers and again he rises to address the court, asks to see the device, and they hand him an object, the size of a small box of matches. He looked at it, and explained, “It is also a part of my survival equipment, a form of matches with which, if I’m down in a wilderness, to light a campfire, even with wet wood.” Then Powers asked that the object be given to the interpreter so he could read and translate into Russian the instructions on the box. They turned out to be directions on how to build a campfire with wet wood. Powers then asked the interpreter to please turn the box over and describe the picture on the back. The interpreter turned the box, hesitated and looked at the judge. The judge ordered, “Do it!” And he said, “It’s a picture of a campfire.” Powers sat down. And here’s this extraordinary person, doing his quiet, dignified best, and succeeding, in revealing the court for the propaganda theatrical it was; in demonstrating before the journalists of the world the clumsy and cynical corruption of the Soviet judicial system along with its scholars; in defending his own nation as best he could; and deeply risking his own life in the process. So far as I can tell, the Western press missed it. Not one word of his astounding courage, integrity, and loyalty under the most fearful conditions was ever printed or broadcast. By that time the Western news media, as an entire institution, was in some sort of mass hysteria to condemn and sacrifice Francis Gary Powers for betrayal of America by “failure” to commit suicide. Scapegoating, I call it. I would ask whom and what our media was itself betraying by being blind or silent on his actions in court. Was it betrayal of him alone, or of our nation? Would we be better off if we felt betrayed, or if we recognized a heroic act by one of us? If he had used the pin on the ground, unhurt, would the flight not have been flown, the U-2 not crashed, the poison gone undetected, or Soviet response been different? Would we, as a nation, prefer suicide as our model, or Powers’ acts in court had they been reported? Q: Well, you remember, I’m sure, what was being reported in the press, that it was all aimed that way. It was the story. TOUMANOFF: Oh, yes, of course I remember. It’s one of the reasons I’m skeptical about press coverage of large political events. Q: First of all, it involved an intelligence agency. Secondly, it involved a person who was doing something so secret, so sensitive, and thirdly, our worst enemy. It had to be that way. This was the only story. TOUMANOFF: Powers couldn’t use the pin when falling by parachute. 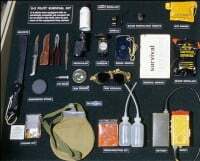 He’d have to have used it on the ground after landing, and with no fatal injuries there would have been an autopsy to determine cause of death and the poison discovered. To my way of thinking, he used his head, and did not betray either his nation or his faith. On the contrary, what he did at that trial was truly heroic, and should have been reported as such. Actually, I suppose the fact that it was never reported probably saved his life. I doubt the Soviets would have forgiven him for so discrediting, before the eyes of the world, the regime and its great show trial. Q: The prosecutor didn’t have to be so stupid, either. They could have read the box of matches first. TOUMANOFF: Yes, or just adhered strictly to the truth, especially with their commissions and phony conclusions. They had the plane, they had the pilot, they had all the equipment and all the documentation. They even had the President’s confirmation of responsibility. Our action, its danger, and its consequences were more than enough to capture the attention of the world. They didn’t need the theatricals. They held Powers for a couple of months or more before the trial. They had already blown away Ike’s visit and the Paris multilateral summit. They also wanted time to interrogate, to get all the information they could out of Powers, and to prepare him for the trial. The fascinating thing is the psychology of that period.… I mean, for all their interrogation and observation, they had failed to see what kind of a human being he was. They had put him up on trial convinced that, faced with the possibility of a death verdict, he would be perfectly compliant and, when asked if he had anything to say, would confirm the preceding “evidence” by having nothing to say, or by acknowledging, “Yes, that’s my route map. Yes, that’s my pistol, of course, of course. Yes, that’s my incendiary device. Yes, that’s my poison pin.” The last thing in the world they expected was a challenge of the findings of their learned commissions. Q: And they’d come to all the conclusions from their experience with earlier Moscow show trials of purged Communist leaders. TOUMANOFF: Who admitted to all the false accusations and confirmed those massive propaganda exercises, in the hope of saving their lives and possibly others’. And I was taken aback. At first I couldn’t believe my eyes and ears as I watched and heard him, quietly, with respect and dignity, do what he did. And there was a strength and integrity to him that came through. So when he said to the court, “I could never think of shooting a person,” it rang true. Q: Yes, and while he had received his training, he had been well briefed, should this ever happen, and so on. There was just plain self-integrity and intelligence. Maybe they picked him for that reason. TOUMANOFF: Well, they recruited the right guy…. 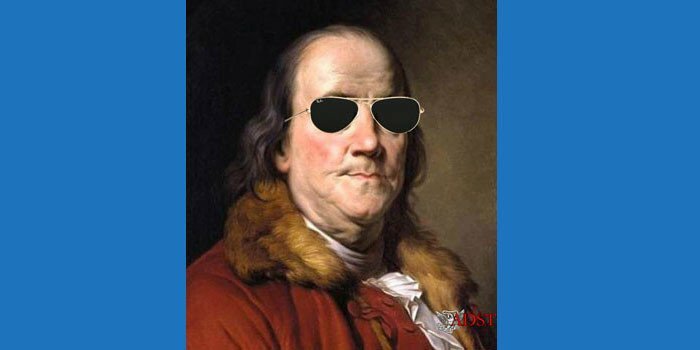 Q: I’m asking this not only for more facts, but also because I was left with the impression that his reputation had not survived the U-2 episode, that he went out of government without a good reputation. TOUMANOFF: That’s right. Yes. And I think totally unfairly. He really should have been a hero. I’m sure there were those who defended him. He must have been defended by part of the press, but he was forever tarnished with that “betrayal” brush. Q: And the trial was thought of by many as a typical Soviet setup. TOUMANOFF: Well, it was fascinating for me because you don’t often get to see a Moscow show trial. They don’t have them all that often. It was fascinating to see how they staged it. This wasn’t law or due process or anything like it. It was theater, very heavy handed theater at that. 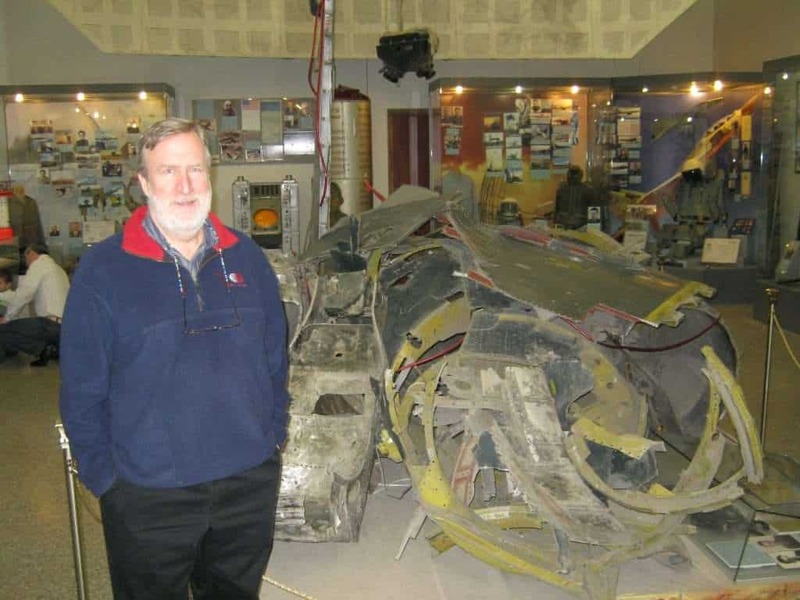 Below, wreckage of Francis Gary Powers’ U-2 plane on display at Central Armed Forces Museum in Moscow. I’ve visited the museum in Moscow that has an entire room dedicated to the shooting down of this U2. They have a portion of the wreckage, photos of the site, depictions of how it was shot down, the camera, and other items. They never once mention that it is an American spy plane or that it was piloted by Gary Powers. The trial is not mentioned at all. I have a photo of me standing in front of the wreckage.